Prime Minister Scott Morrison speaks with Gary Nairn AO from The Mulloon Institute (right) and Peter Andrews OAM (left). Photo: Kelly Thorburn. 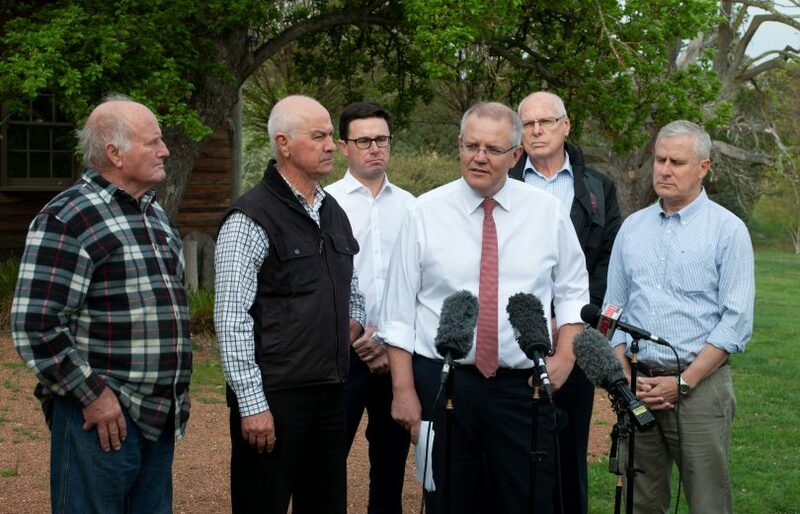 The Mulloon Institute (TMI) welcomed Prime Minister Scott Morrison to its campus at Mulloon Creek Natural Farms (MCNF) on Thursday (25 October), to see first-hand how landscape repair and rehydration is boosting the farm’s drought resilience and improving agricultural output. Situated between Bungendore and Braidwood, the not-for-profit Mulloon Institute has been a leading light land rehydration. Through research, education and advocacy, TMI links environment, farming and society through practical demonstration. “That project would be based on our Mulloon Community Landscape Rehydration Project (MCLRP) which spans a 23,000ha catchment and 50kms of creeks, and has been selected by the United Nations under its Sustainable Development Goals (SDG) as one of only five global demonstration projects,” he said. 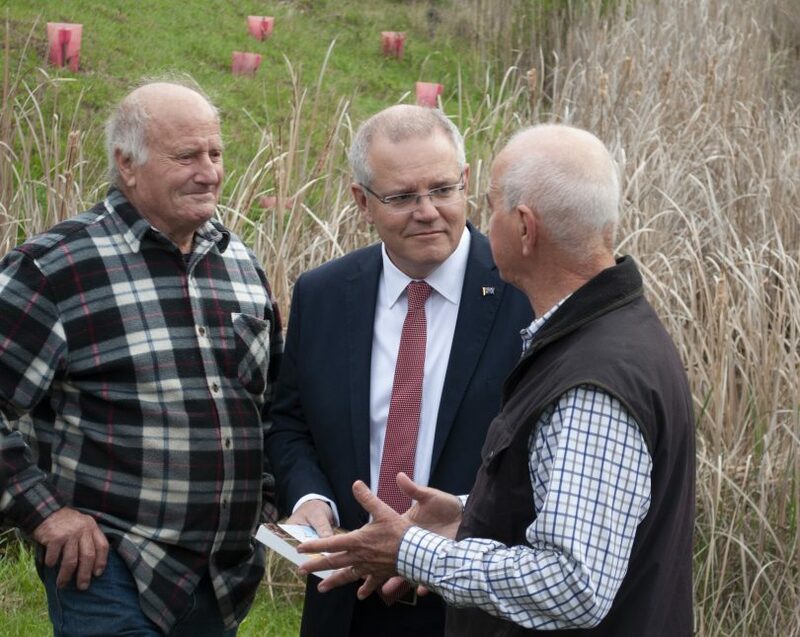 Prime Minister Scott Morrison addresses the crowd at Mulloon Creek Natural Farms this morning, with (left to right): Peter Andrews OAM (left) Photo: Kelly Thorburn.